In Irish English, "himself" and "herself" are used to refer to people of importance: a lord or lady, Mom or Dad, husband or wife. 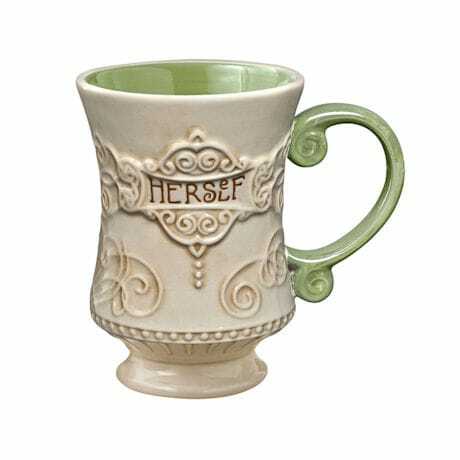 Gifts for your own special Himself and Herself, ceramic mugs have classic shapes, pedestal bases, and raised details. 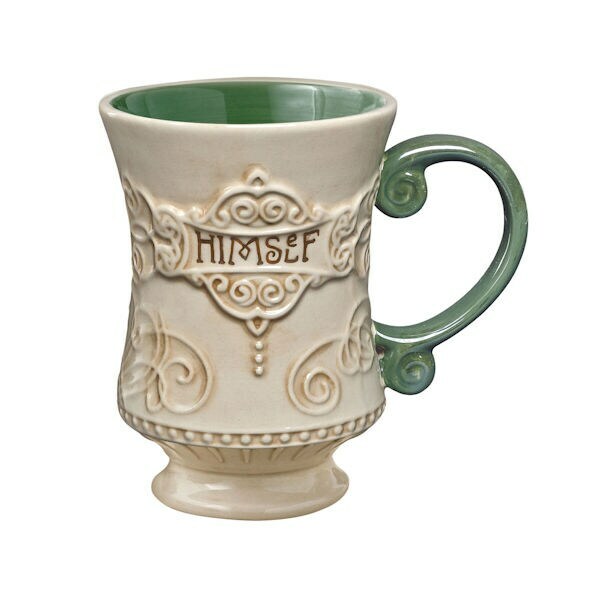 Cream and green with a high-gloss glaze, mugs hold 10 oz. Dishwasher safe. Each arrives gift boxed. Specify Himself or Herself.